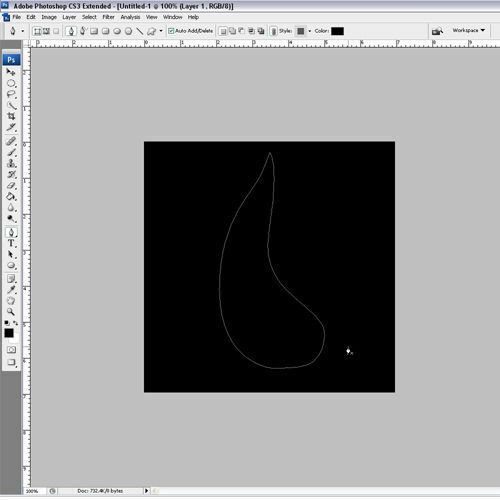 In this Instructable I'm going to show you how to make your own semi-realistic fire using Adobe Photoshop CS3. 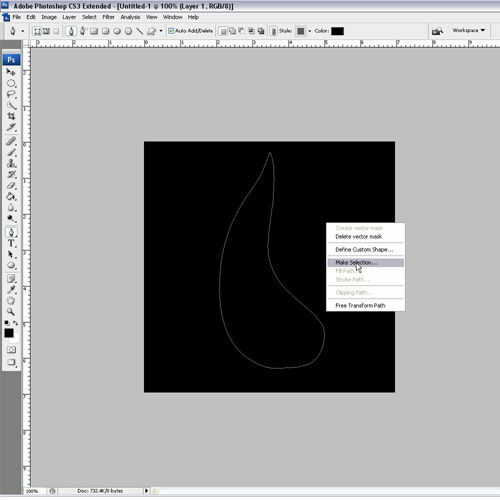 Like many techniques in Adobe products, this can be accomplished in almost all versions, but the process might differ slightly. 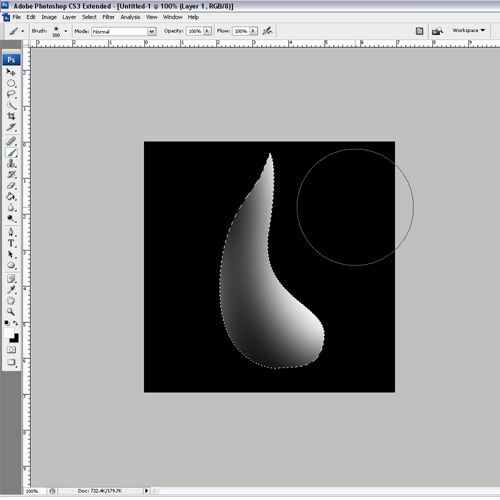 º First off, you need to create a new file, (File>New) for this Instructable, I chose a 500 x 500 pixel resolution. º To allow the true justice of the fire to show through, change the background to a solid black, later this will allow you to screen your final product. º The pen tool takes some time to get use to, don't get frustrated too quick because it will get easier over time. º On to step two! º After you have selected your path, make sure to create a new blank layer for your fire! º Once your path is selected and your new layer is created, get a soft round brush (from your "Basic Brushset") and create a fading look from white to black. º Now that you have a fading look to your flame, create a glowing border by bordering your current selection. When making a border around my selection, I choose a 20 px border. º Once your border is selected, use the same brush tool to create a glowing border around your fire. NOTE: This is a touchy process, if you put too much border around your fire it will look unreal. I avoid bordering the top and bottom of my fire. º On to step three! Step 3: Make Your Fire Look Real! º Now that you have a glowing border around your flame, inverse your current selection and goto your filters. Choose the filter "Bas Relief" to gain a more solid transition between black and white within your fire, having the selection inversed will avoid filtering your border. º Now goto your blending options (right click on layer and blend) to create some real fire! º Outer Glow: change the color of the glow to a light orange. º Gradient Overlay: create your own flame look from red to yellow (orange in the middle) and spread it out from bottom to top (a 90º angle) also select blend mode "Color Burn" and click Ok. Step 4: Ouch, It's Hot! º You're final product is done! Now you have one single flame, you can duplicated it, rotate it, create special effects and more! º The best part about it is that it's created with a style, so now it will be twice as easy to create your next flame as well as adjusting the settings! Well the lack of comments on this instructable means the rest of the world found this just as impossible to follow as i did!
" (Within this Instructable, general knowledge of Photoshop is expected) "